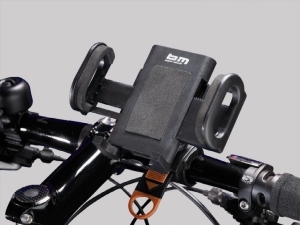 For all those who want to send and receive email while cycling, or use GPS, MP3 players and other electronic devices while rolling down the road, we now have the USB-WERK from Busch & Müller. The USB-WERK is wired to your 6 volt, 3 watt dynamo in parallel with your headlight. "But Peter! I don't need a headlight!" No problem. Just wire the USB-WERK directly to your hyb dynamo and you're all set. And should you eventually decide to add a headlight, just wire it in parallel with the USB-WERK and you're all set. Switch the headlight OFF and you can charge your device. An optional extension cable offers the possibility to tap into USB-WERK's energy supply at virtually every spot on the bike. Cable screw connections keep the connections securely water tight. In order to mount the "miniature powerhouse" on the bicycle frame, three differently sized o-rings and cable straps are included. Some devices, such as many iPhone models, require a constant voltage from the charger. For devices like this, an intermediary or buffer cache battery must be used. The USB-WERK incorporates a cache battery within the housing. There is no need for an additional cache battery. A standard USB connector cable is included with the USB-WERK, so just plug in whatever device you want, provided it is charged via USB. Download the USB-WERK manual in English here. It's a 1.5mb file. While Busch & Müller's instructions for using the USB-WERK with a Schmidt dynamo hub along with a headlight say to connect one wire each for the headlight and USB-WERK into each flat connector, the 4.8mm connectors used for wiring the Schmidt hubs, I have a better solution. Use the 4.8mm piggyback connectors! Attach the piggyback connectors to the wire leading to the USB-WERK, and then the standard female 4.8mm flat connectors can attach to the piggybacks, which in turn are attached to the male connectors on the Schmidt hub. That way, if for any reason you wnat to remove either the headlight or the USB-WERK, the other can still be used with the Schmidt hub. No need to crimp on new connectors. If this doesn't make sense to you, please call me. I'll eventually get photos of this posted here. As of May, 2018, we now offer the USB-WERK with a Schmidt Co-Axial connector soldered to the input wire. We have recently discovered, (April 19, 2017) that the Busch & Müller IQ-X headlight and the USB-WERK charger are not compatible. When the cache battery in the USB-WERK is charging, the IQ-X beam becomes quite dim. While riding, this can happen for about two seconds, every thirty seconds or so, and so causes a dangerous situation, since the rider will briefly not be able to see the road ahead. If you have the IQ-X headlight and plan to use the USB-WERK, you should be prepared to unplug the USB-WERK at night. We are working with Busch & Müller to find a better solution for this. In the mean time, I recommend using the Luxos U headlight rather than the IQ-X if you need both a charger and a high quality headlight. 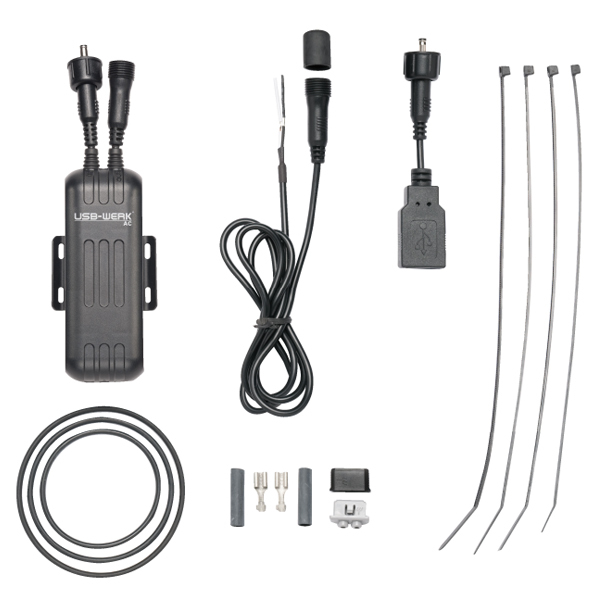 Another option is the Lumotec IQ CYO Premium with the USB-WERK, since the CYO is unaffected by this. Some other headlights can also become dim when used with the USB-WERK, but only by very small amounts, so you would barely notice this while riding, and therefore there is no safety concern. Most devices that charge via USB need .5 amps. Some devices require more amperage to charge than others. And hub dynamos have only so much amperage to give. If your device requires 1 amp or more, your hub dynamo won't be able to charge it. You should check the specifications on your device and determine that the input amperage is below 1 amp before buying the USB-WERK. I'm told that the Galaxy S4 comes with a 2 amp charger. Forget about charging it from a bicycle hub dynamo. 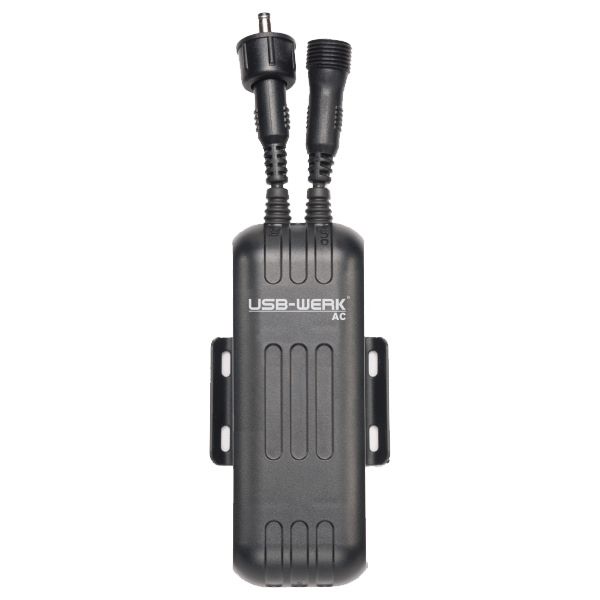 The USB-WERK can delivery 1 amp when the internal cache battery is charged. However, since the hub dynamo cannot produce that much power, the battery will steadily drain. Once it has fully drained, the USB-WERK can no longer charge your device while the device is running. And keep in mind that some devices cannot be charged and run simultaneously. Will it work with Garmin? There have been questions lately about Garmin's newest GPS units for cycling. We just received the Garmin Edge 810 and have tested it with the USB-WERK. It works perfectly. If you don't yet have a GPS and were thinking of getting one, the Edge 810 is quite nice, and you can keep it fully charged while you ride. Keep in mind, that no hub dynamo can provide as much power to the GPS's battery as the GPS itself drains from the battery while in use. So, if you are riding with the GPS turned ON, the hub's power will extend the run time of the battery, but cannot keep the battery at full charge. This is a limitation of bicycle dynamos, not of the USB-WERK charger. Yes!. But, just as with a Garmin GPS, if you are running mapping software on your phone, the phone will draw more power from its battery than any hub dynamo can provide, so the battery in the phone will last longer, but it will eventually run down. This is a limitation of bicycle dynamos, not of the USB-WERK charger. 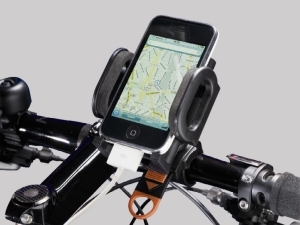 A handlebar mount for holding the device you charge with the USB-WERK is also available. The Universal Cockpit Adapter mounts easily to the handlebar without tools. Thick cellular rubber coating on all contact areas of the holder cushions shocks and prevents scratches even on the most sensitive surface. The adapter opens gently upon pressing the rear release button. The holder's inclination can be adjusted variably, thereby offering optimal visibility for every kind of display. An opening at the bottom of the adapter provides enough space to connect cables, so that power supply for inserted devices is ensured at all times, e.g. from the revolutionary USB-WERK charger. See this page for a list of local bicycle shops that generally stock our products, or can order them for you. Remember that while the USB-WERK can be used in all weather, your electronic device might not be weather proof. And, USB connections are not weather proof. Which hub dynamo to use? Most dynamo hubs are designed for use with 700c rims. This includes all of the Shimano hubs, the Sanyo hubs, and SRAM models, and all of the various Schmidt dynamo hubs with "28" in the name. In accord with German law, when used with a halogen bulb headlight, the system produces a very bright light by 5mph. Schmidt also makes a variety of hubs for smaller wheels, like the SONdelux, SONXS and SONXS100. It's becoming popular among night riders using 26" or 700c wheels to use one of the Schmidt hub dynamos designed for small wheels such as the Schmidt SONXS100 or SONdelux. When you use one of these hubs with a larger rim, the hub is rotating at a slower rate than it would be if used with a 20" wheel, when riding at any given speed. The slower the hub rotates, the less power it delivers, and the less drag there is. With the new LED headlights, you can still get a very bright light at a low speed, lower than you would with a halogen bulb headlight. This results in slightly lower drag, because the hub is generating less power. But the LEDs need less power than a halogen bulb, so it works. But what if you want to use the hub's output to charge a battery as well? If you use a hub designed for a 20" rim but instead use a 700c rim, at any given speed, you'll have less power available for charging a battery, because the hub is rotating at a slower rate than it normally would at that speed. It will still work, but the charging time will increase a bit. So if you're going to use the E-WERK, or think you might in the future, you may want to think twice about how important that small difference in drag is to you. The drag of a SON28 hub with a 700c rim is tiny. So a SONdelux hub with a 700c rim is a little less than tiny. Do you care? Should you care? If you know for certain that the E-WERK isn't for you, pick your dynamo hub based on quality, performance and price only.